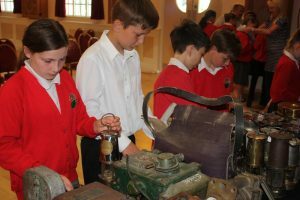 Our last Mining Memories Roadshow, held at Rainworth Village Hall on Friday 7th June, 2013, was visited in the morning by children from Python Hill Primary School, Rainworth. 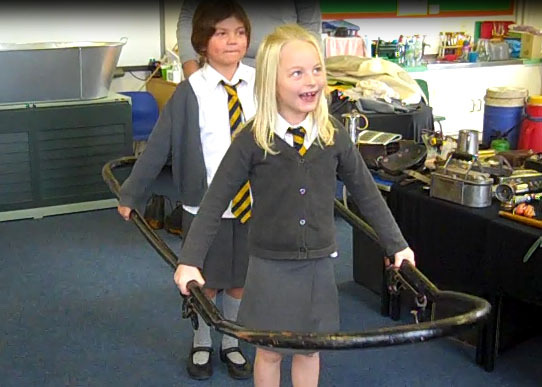 The children from Python Hill School were absolutely brilliant. 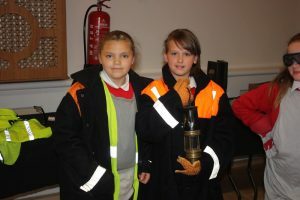 They took part in all the activities and really seemed to enjoy themselves. 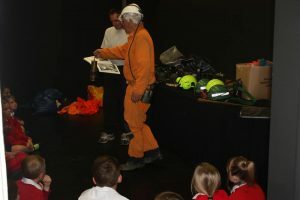 The children, many of whom had fathers and grandfathers who worked in the mines, tried on mining equipment and clothing and took part in role play activities. 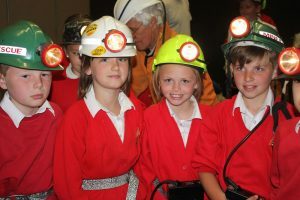 This helped them to glimpse a little of the working life of their dads and granddads. 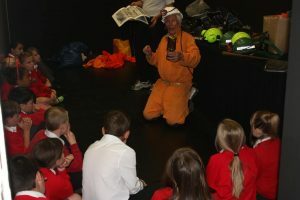 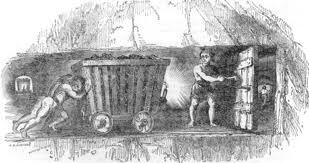 John Brock tells the children to get ready for their coal face experience! 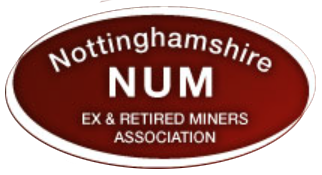 This gallery was added on 27/06/2013.